As you know we'll celebrate 4th of july with a great picnic ( it will be on Sunday, July 1st) parc des angeliques . 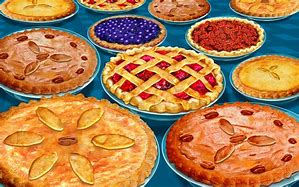 As usual there will be a pie contest and a great prize for the winner.... Don't hesitate to cook some delicious pie and please answer this mail by giving your name to participate. - at last, everybody can enjoy all the delicious cakes.